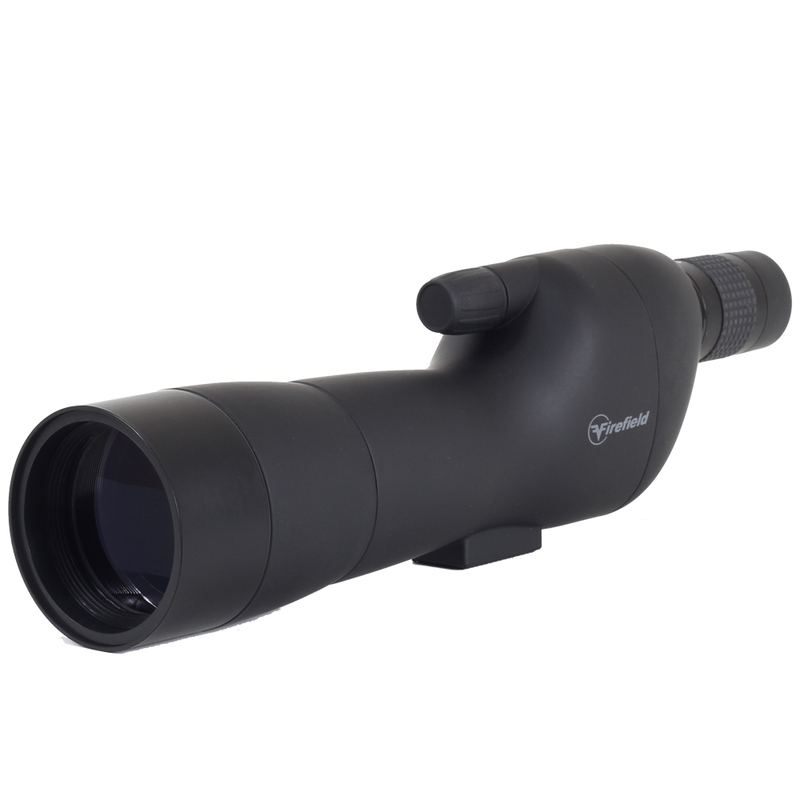 The 20-60x60 SE Spotting Scope Kit from Firefield is a lightweight cost-effective spotting scope useful for terrain navigation, bird watching, and spotting at the range. 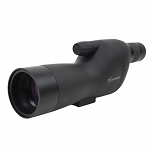 The 20-60x magnification is suited for intermediate to long-range outdoor applications. A wide 60mm objective, fully multicoated optics, and BaK-4 Porro prisms transmit bright detail-rich images throughout the entire zoom range. The built-in sunshade further enhances contrast by shielding stray light from entering the field of view and degrading image quality. Firefield spotting scopes feature a rubber eyecup and adjustable three-section tripod that ensure comfortable use during long-duration nature observations, hunting, or sessions at the range. An included carrying case keeps your optics clean on long treks into the wilderness and the hard shell case keeps your investment safe during transport. The nitrogen purged housing provides operators with a lightweight spotting scope that is engineered to perform in the elements. A user-friendly camera mount (sold separately) allows you to turn your 20-60x spotting scope into a long-range digiscoping system. Use this system to capture images of that rare bird in your field of view or a highly detailed view of the landscape. Wide 60mm objectives and fully multicoated lenses deliver bright and detailed images even at extreme ends of the 20-60x zoom range. The nitrogen purged housing is weather sealed and protected from driving rain and extreme humidity, preventing your optics from fogging when you need them most. Box Dimensions (LxWxH) 17.2 x 9.0 x 7.6"